I recently discovered a new eye tracking tool to help UX designers create websites tailored to how people behave online. 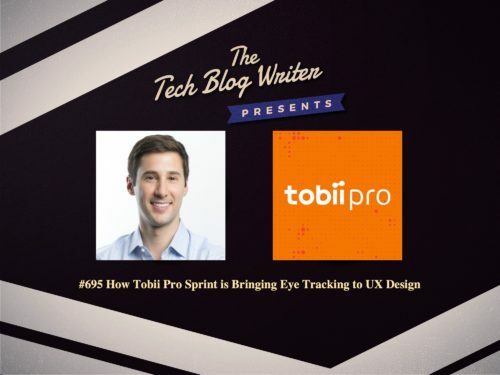 Tobii Pro is a global leader in eye-tracking research solutions that recently launched Tobii Pro Sprint: a new web-based tool which facilitates quick and easy user testing of digital products and services. This first-of-its-kind eye-tracking tool gives UX designers and developers working in agile, fast-paced environments immediate and unparalleled insights on user behavior. The technology enables UX designers to view and/or record the test participants’ eye movements while using their service or product on a computer equipped with a Tobii eye tracker. The recording can be shared with other stakeholders live or replayed later. For example, apparel retailer H&M is a Tobii Pro Sprint customer using eye tracking to create a clear path of purchase for online shoppers and to validate design decisions on their site. Similar eye tracking studies can be done for online banking portals, music, and video streaming services, work portals, pretty much any digital product. “At H&M, our UX team is continually optimizing the customer path to purchase and depends on Tobii Pro Sprint as an essential part of our comprehensive, qualitative testing practices. Sharing the objective insights in session recordings allows us to quickly convince team members and stakeholders of needed design decisions that have previously been challenging to prove,” said Liang Hiah, UX Lead, H&M. What makes Tobii Pro Sprint unique from other tools is that it completely online with live streaming, recording, and collaboration features for UX teams. I invited Joseph Goldberg onto my daily tech podcast to learn more about how they are making it easier, faster and more affordable to run an eye-tracking study for UX testing and helping them understand online consumers’ browsing habits. Eye tracking is a game changer for market research.